That all changed in 2007 when a study came out that concluded the spires were a fungus, like a gigantic early mushroom. 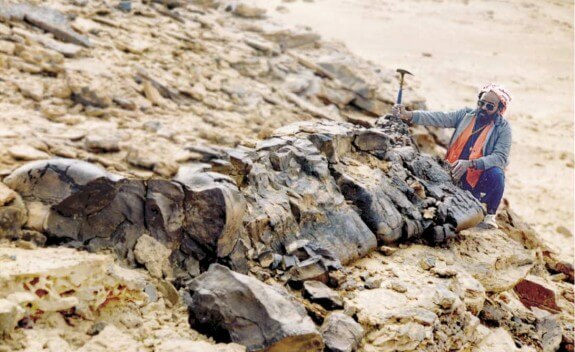 But not everyone was sold on the idea that Prototaxites was an early fungus. No one’s questioning the spires’ existence—people just have trouble trying to imagine that such a huge structure could be a fungus. Researchers trying to refute the fungus idea thought that Prototaxites spires were gigantic mats of liverworts that had somehow rolled up. But in a follow-up study, the scientists who had proposed the fungus idea doubled down on their claim. So science is messy, and despite more than a century of digging, we still don’t really know, for sure, what these huge spires that dominated the ancient Earth really were. But even though the spire-like mushrooms of yore—or whatever they were—are long gone, don’t feel too bad for funguskind. The largest organism on Earth, says ABC, is still a huge fungal mat, a single organism spread over 2,200 acres of forest in eastern Oregon. This Indian River Water Has Reduced For The First Time In History And The Secret Hidden Inside Them?! Scary Fanged Cannibal Fish Washes Ashore … Alive!